Hereford High School, Elkton, Md. It was the Northwood boys’ team’s best finish in more than 50 years. The only other year that the team earned the second place honor was in 1962, and the school was closed from 1985-2004. Severna Park finished first in the team competition, earning its second consecutive and fifth overall boys’ team title. Since 2011, the Severna Park boys’ team has either won or come in second at every state meet. Severna Park’s girls’ team also took home the 4A state title this year, after coming in second as a team last year. The 4A girls’ team title had been residing in Bethesda since 2010, won by either Walt Whitman, Bethesda-Chevy Chase or Walter Johnson. Bronwyn Patterson, a sophomore at South River, won the individual title in the 4A girls’ in 19:06. 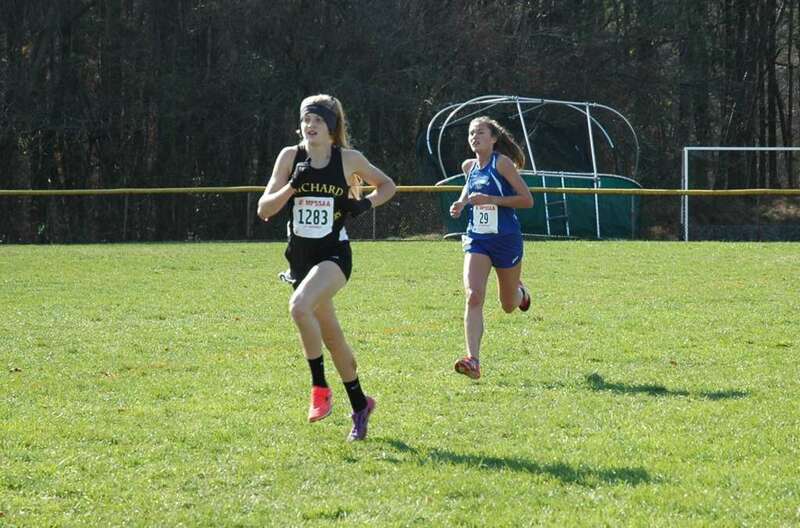 Charlotte Turesson, a sophomore at Richard Montgomery, finished second in 19:18. Annapolis’ Anna Coffin, the runner-up at last year’s state meet, was right on Turesson’s heels, and she finished third, in 19:19. Turesson said she tried to stay with the top runners, and although she had considered attempting a breakaway, she decided not to. Once other runners picked up the pace, she said she continued trying to stay with them. When her South River opponent pushed up a hill known as “the dip,” Turesson used that as an opportunity, too. Turesson was pleased to improve over last year’s performance. At the state meet in 2017, she finished 26th in a time of 20:31.7. Turesson praised her coaches, who she said are always there for her. “If it wasn’t for them, I honestly wouldn’t be here at all,” she said. Whitman led the D.C. area teams, finishing fourth. Walter Johnson, which won the girls’ title for the past five years, came in seventh this year. “I think we were hoping to do a little bit better — it doesn’t always work out that way — but overall, I’m happy to be in the top four in the state of Maryland and definitely to be the top Montgomery County team,” Coach Steve Hays said about the girls’ team. Breanna McDonald and Alicia Lauwers were Walt Whitman’s top finishers, finishing 15th and 18th, respectively. Hays was pleased with the boys’ performance as well — the team finished fifth. Feda described the course as “pretty tough.” He was running with the lead pack, but he said he stayed a little behind other runners in the first mile because of the wind. 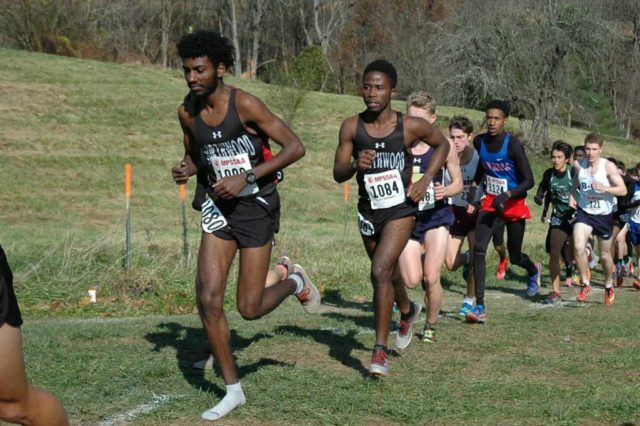 Feda said he and Mulugeta run about the same pace, but even if they run together, they agree that either of them can go for a faster finish in the last mile. After their finish on Saturday, they embraced in the finish chute area. With this latest win, Feda was also able to keep up an undefeated streak this year. Choosing to run behind others during part of the race Saturday didn’t break his confidence. “I believe in myself,” he said. Reumante said some of his runners aren’t normally too aggressive, but he told them they should be during this race, and they did well. “I’m really proud of them; I’m so happy for them,” he said. Charlotte Turesson edges Anna Coffin to the finish line for second place in the 4A race.